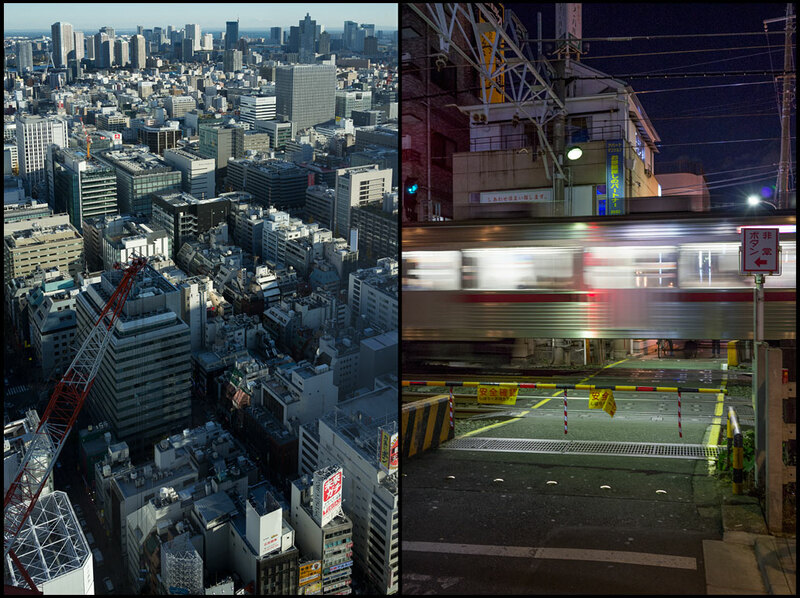 Tokyo is one of the most densely populated cities on the planet. Click on the image for a larger view. 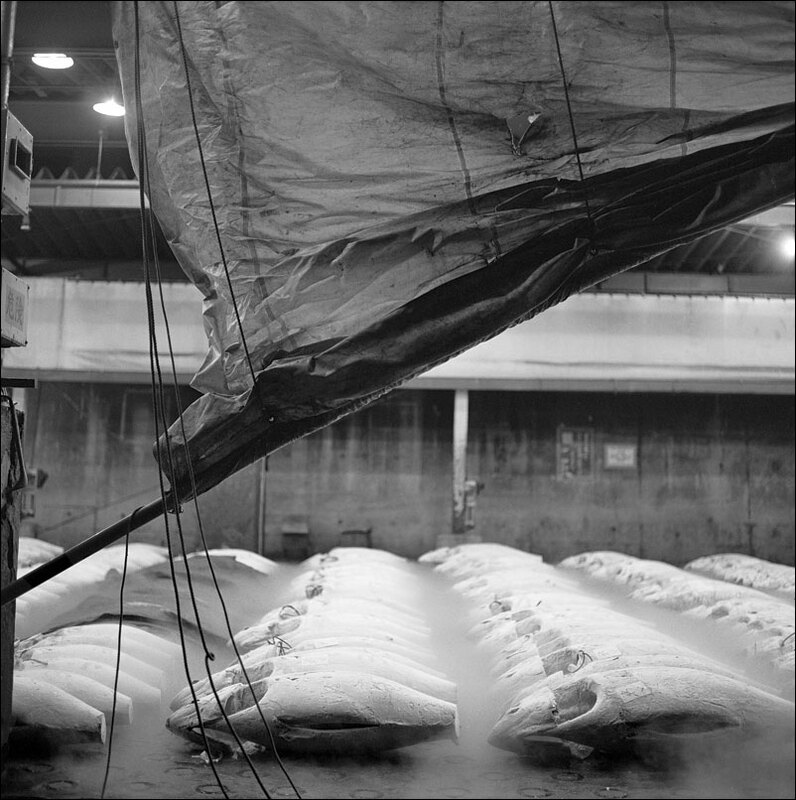 This is the last day of operation for the Tsukiji Fish Market. 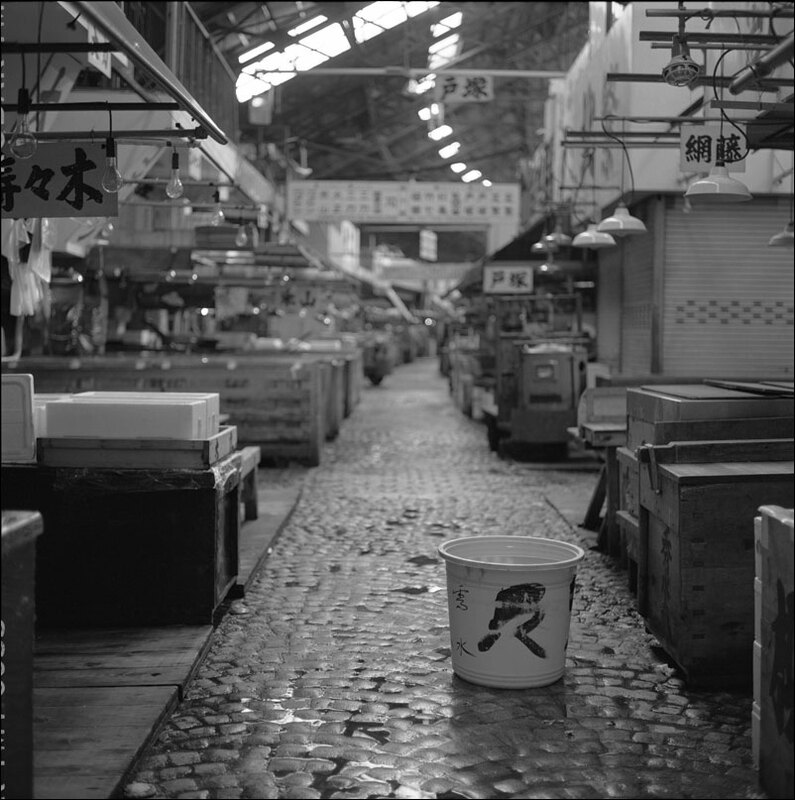 This image is from the early afternoon when the inner market was closed. The market had been in business in this location since 1935. 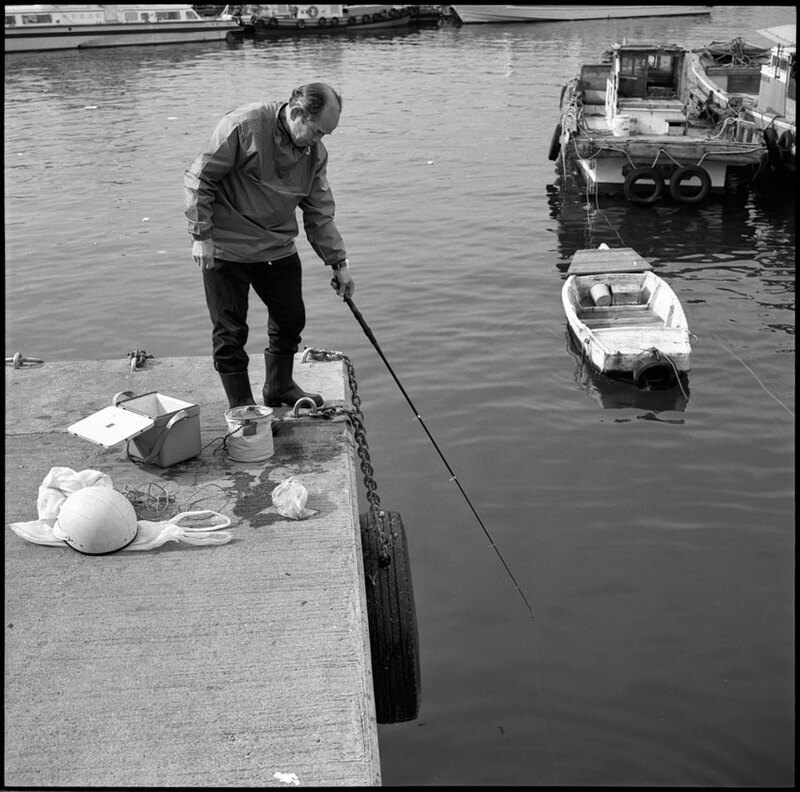 The images on our site are from the early 1990s when access to the inner market was less restrictive. The increasing influx of tourists required the market to limit access. The restaurant in the outer market will remain in this location. 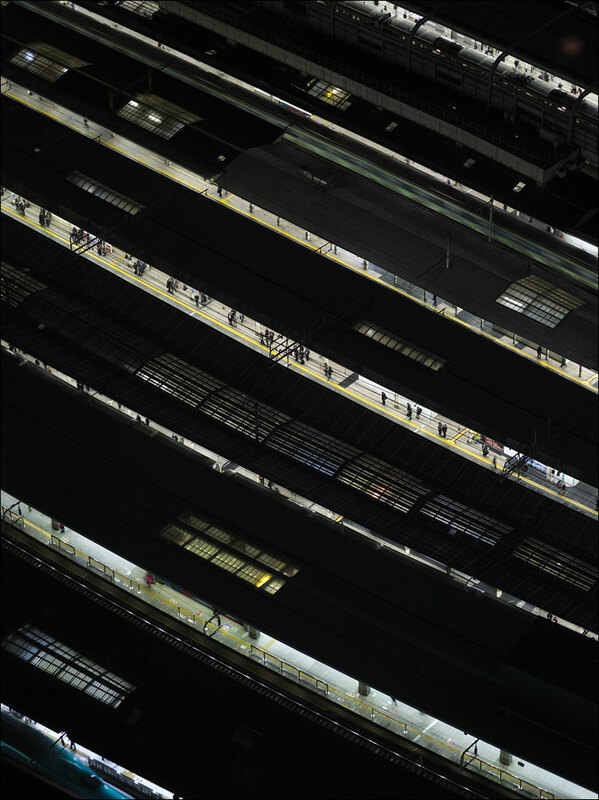 This is from Tsukiji: Tokyo Fish Market Suite. Click on the image for a larger view. Wholesaler preparing a tuna from the auction with a knife especially designed for the fish. Maguro is the Japanese for tuna. 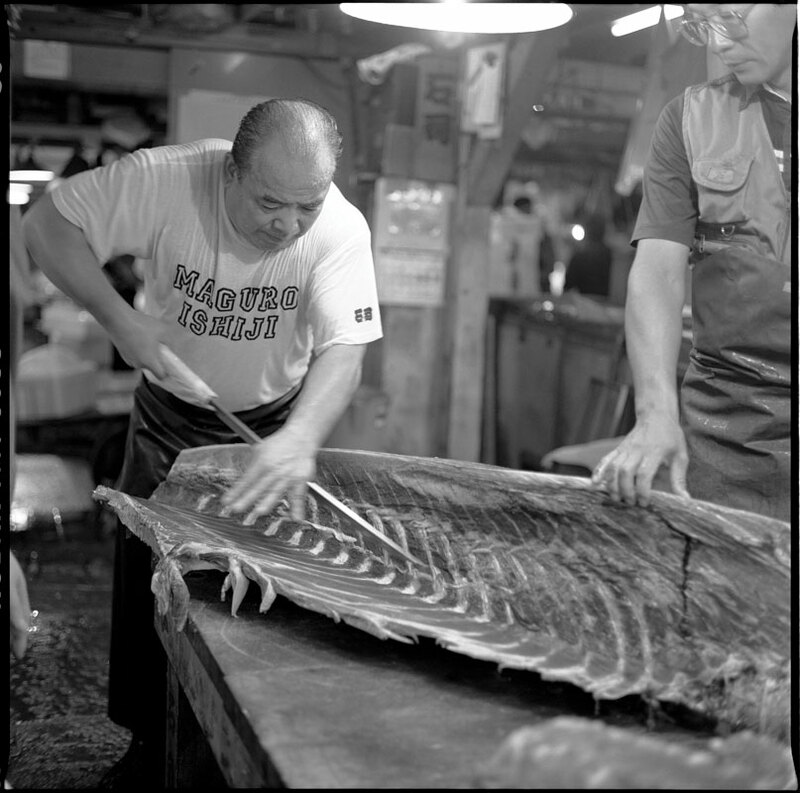 This is the last week of operation for the fish market at the Tsukiji location. 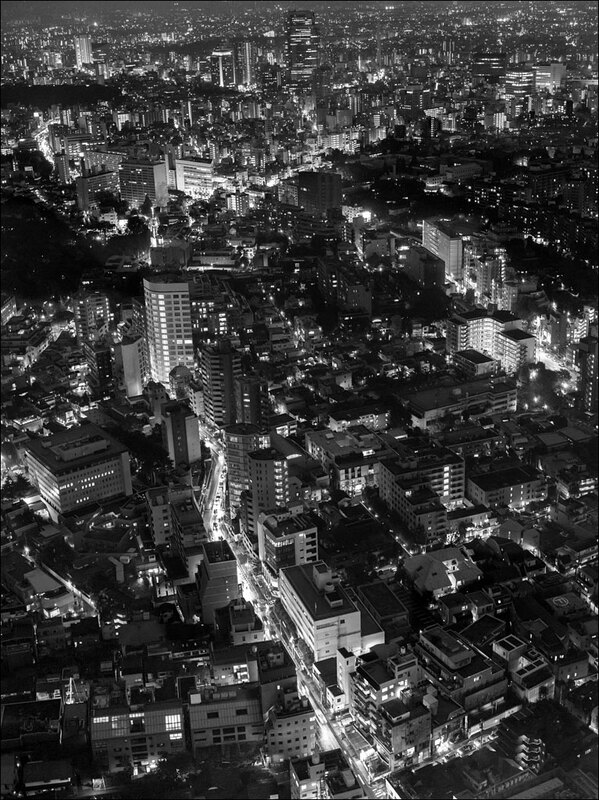 The image is from Tsukiji: Tokyo Fish Market Suite. Click on the image for a large view. 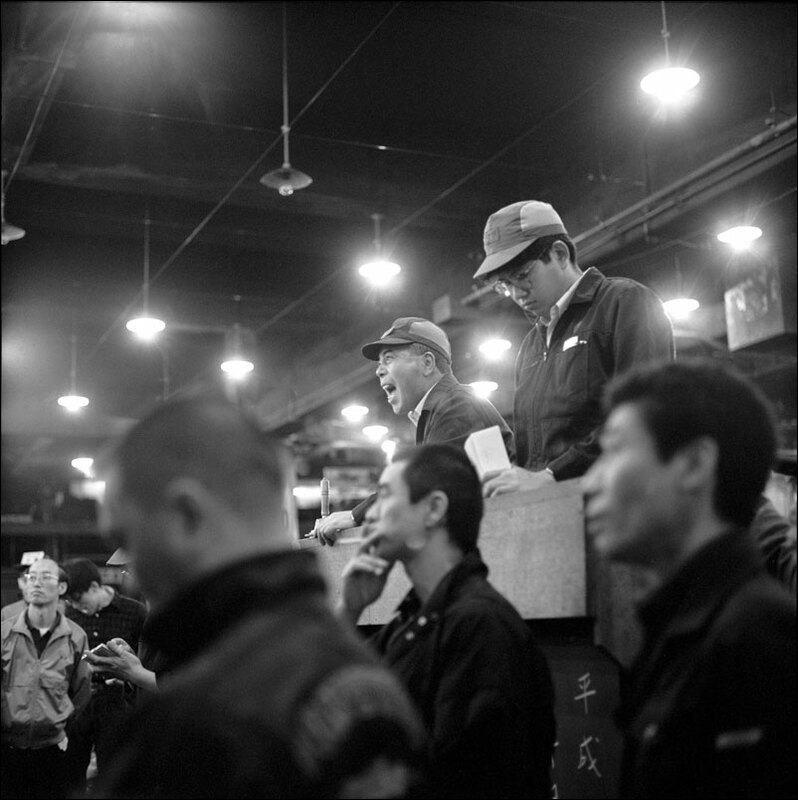 Tuna auctioneer at Tsukiji Fish Market in Tokyo. This is the last week of operation before the market moves to Toyosu, a few kilometers from this site. 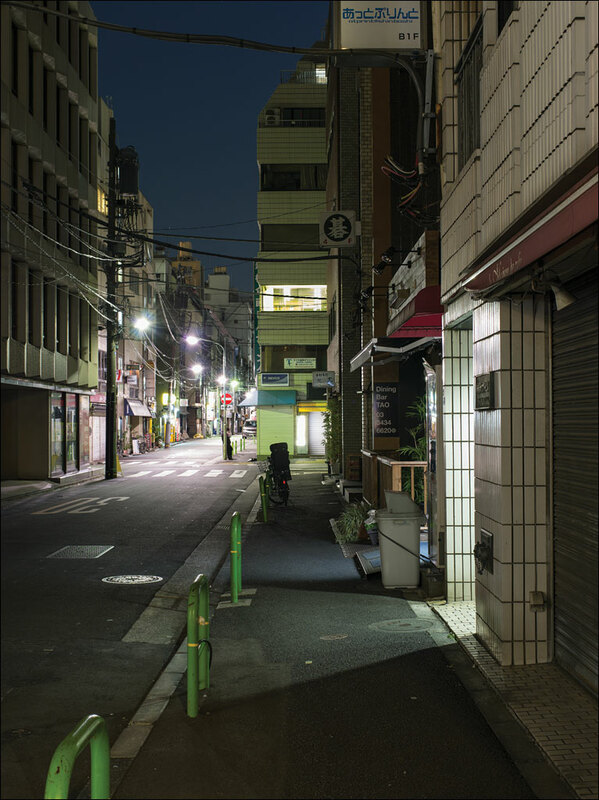 The image is from Tsukiji: Tokyo Fish Market Suite. Click on the image for a larger view. From September 30th, visitors will not be able to view the fish market. October 6th, 2018 marks the last business day for the Tokyo Central Wholesale Market in Tsukiji: the market will move a few kilometers away to Toyosu. I was fortunate to be able to visit the market at its peak in the early 1990s. 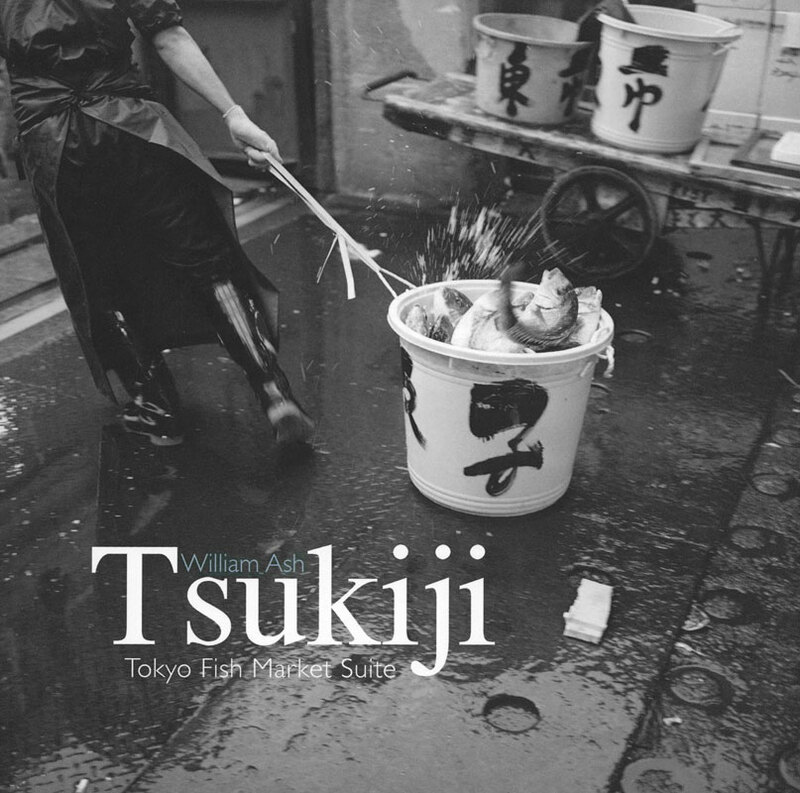 I produced a small book on this amazing place: Tsukiji: Tokyo Fish Market Suite. While the market is clearly in many people’s hearts, the aging 1935 structure was in need of updating. I am grateful to have experienced this place. Still, access to the fish market and its famous tuna auctions will not be the same. Click on the image for a larger view.